A girl displays some harvested caterpillars in Mporokoso District. Photos by: Francis Mwangata. When the rainy season arrives in the south-central Africa country of Zambia, families both rejoice and worry. 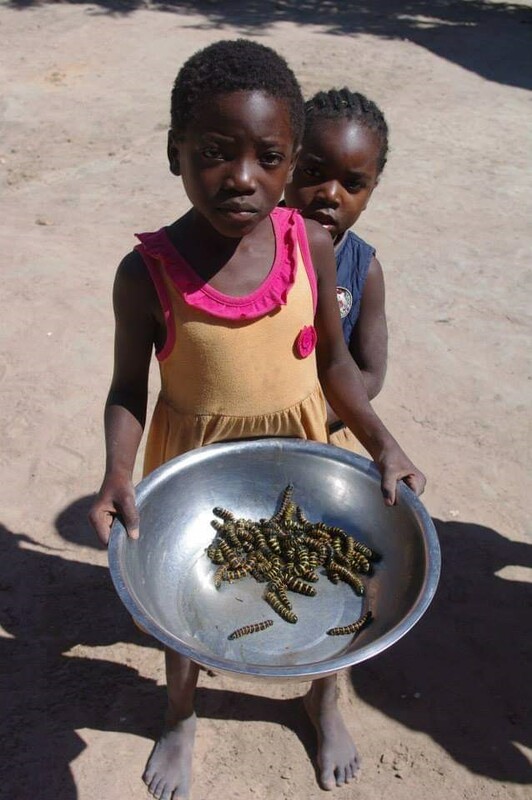 The wet months bring an onslaught of mopane worms, locally known as caterpillars. 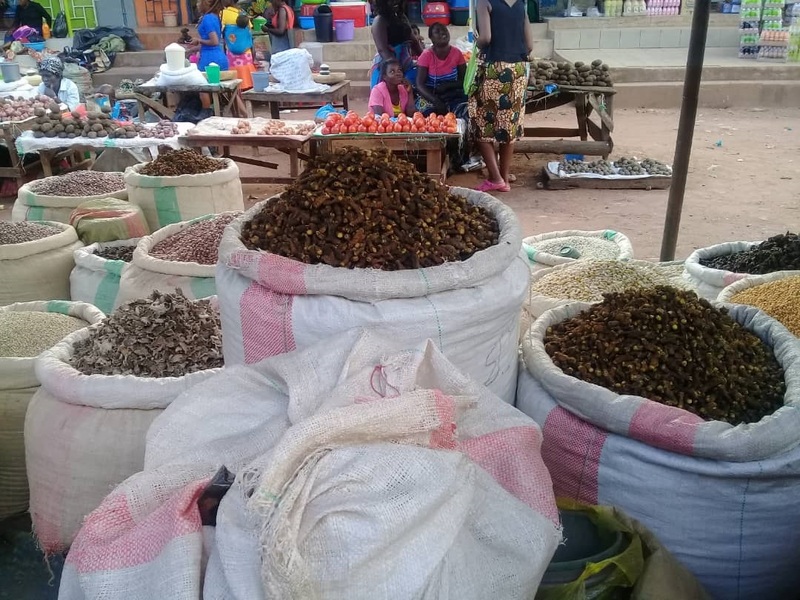 These insects are a healthy source of protein and revenue, particularly for rural communities who depend on the harvesting season for added income. A cup of caterpillars sells for the equivalence of US$4. During the hunting season, which spans about four weeks, an average household can make approximately $80. In Zambia, where 60 percent of the population lives below the poverty line, the added income during rainy season can provide much needed security. But with those rains comes another insect that can wreak havoc on a family’s health and economic well-being: the malaria-carrying mosquito. Malaria accounted for 13.5 percent of Zambia’s annual hospital admissions in 2017 with children and pregnant women at highest risk of infection. To reduce the spread of the disease, the US President’s Malaria Initiative (PMI) VectorLink Project supports the Zambia government to implement indoor residual spraying (IRS). IRS involves spraying long-acting insecticides on the walls and ceilings of people’s homes to kill the mosquitoes. In 2018, the PMI VectorLink Project supported IRS campaigns in 29 districts in four provinces – Luapula, Muchinga, Northern and Eastern. While offering life-saving protection, the 2018 spray campaign coincided with the period when households migrate to the forests to hunt for caterpillars. This activity would ordinarily have posed a major challenge for the 2018 IRS program since householders lock up their homes during the hunting exercise, thereby making access impossible for the spray teams. Furthermore, IRS requires beneficiary communities to remove their household items from their homes so that the indoor walls and ceilings can be sprayed. The PMI VectorLink Project in collaboration with the National Malaria Elimination Program (NMEP) engaged authorities in 15 of the districts that hunt for caterpillars as well as the traditional leadership in these communities. PMI VectorLink tailored the IRS campaign to accommodate the movement of the communities. In some districts, the campaign was suspended for a few days to allow the migrating communities to return from their forest camp sites and have their homes sprayed. These accommodations ensured that the caterpillar hunting exercise could go on concurrently with the IRS campaign thereby creating a win-win situation for the community: they generated sizable incomes from the caterpillar harvesting while also being protected from malaria-carrying mosquitoes. During the 2018 IRS campaign, PMI VectorLink sprayed 559,137 homes, surpassing its 85 percent coverage target and protecting more than 2,722,414 people, including 87,163 pregnant women and 397,483 children under five.